Review: Town Mouse and Country Mouse. Neville Studio. Nottingham Playhouse. – East Midlands Theatre. 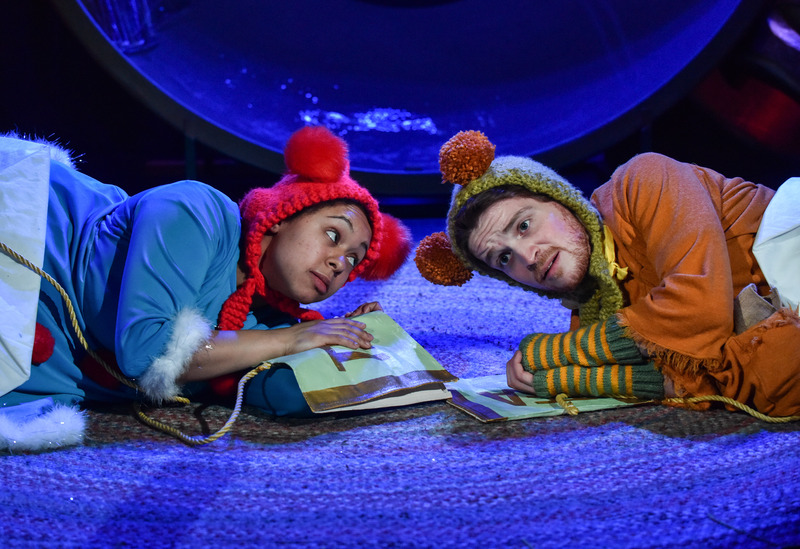 Town Mouse and Country Mouse, adapted for the stage by Robin Kingsland and presented in the Nottingham Playhouse Neville Studio is a cute mice ‘perfect seasonal tale’ for the little ones. Just under one hour long it keeps the children totally engaged in the story of a growing friendship between a related rural mouse and a farm mouse. With a great blend of simple songs, an amusing and engaging story, plus child friendly acting from Narisha Lawson (Teena Town Mouse) and Rory Quinn (Curtis Country Mouse) directed by Fiona Buffini it is a winner all round. 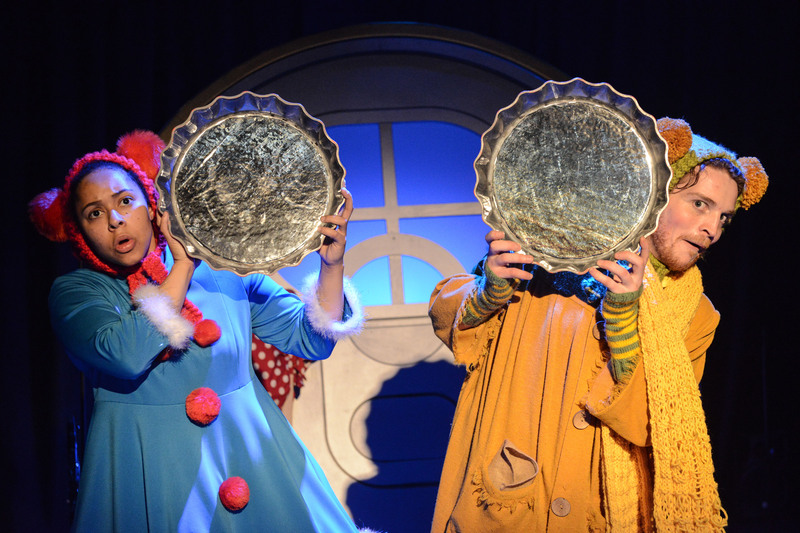 Kindness and thoughtfulness towards each other are the themes running through the show and are eagerly taken up by the small children. Olivia Du Monceau’s creative and adaptable stage design takes us to the spotty umbrella dressed abode of Curtis Country Mouse, the bright sunshine of a country walk, with selected children, and the town mouse house complete with loud and dangerous cat in the background. 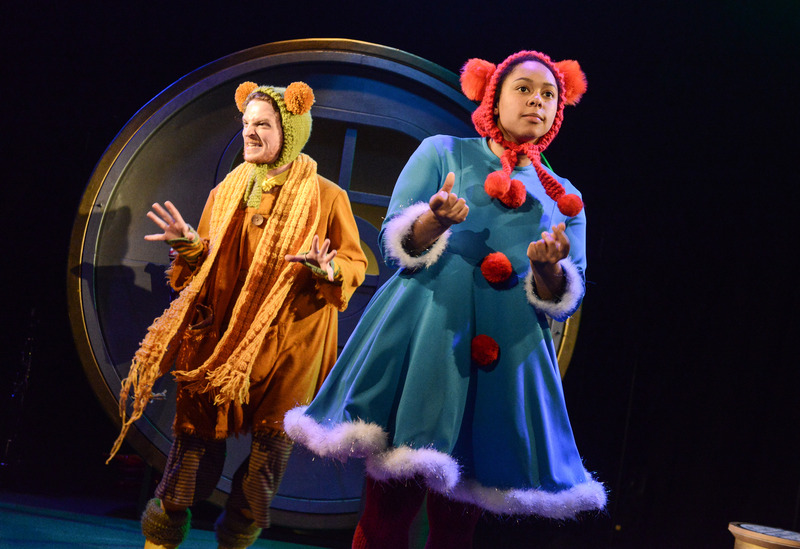 Town Mouse and Country Mouse encourages the children and adults in the audience to join in and this reviewer loved scaring off the big cat with a great deal of help from the two mice and the children! 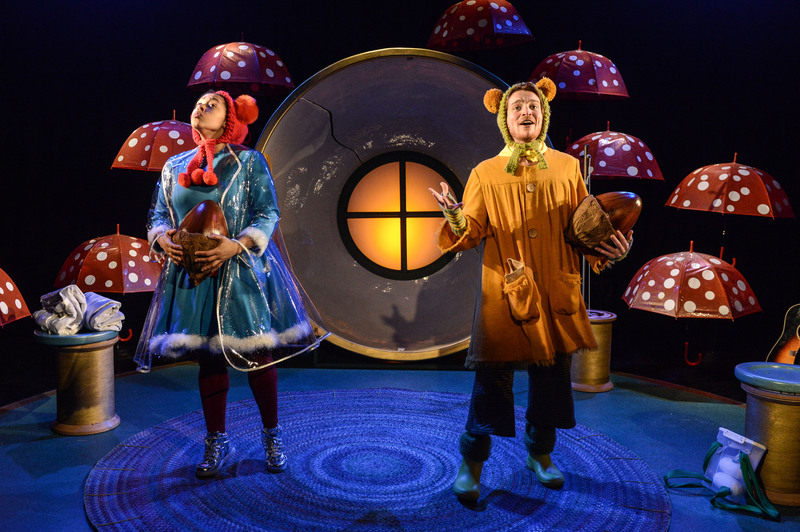 Alexandra Stafford’s lighting design works well at creating atmospheres and changes in scene and Adam P McCready’s sound is at the perfect pitch to entertain but not scare the little ones.